Early Velvet Growth a Good Indicator of Final Antler Size? It’s the time of year when anticipation of deer season is beginning to rumble, especially when you see the first velvet buck of the season. From scouting fields to trail cameras, seeing velvet bucks will become increasingly more common as home ranges tighten to a small area. The ritualistic bucks will start to reveal a pattern of evening trips to crop fields or mineral licks, then back to bed. From the moment we see the smallest amount of antler growth, we begin to project the final antler size months in advance. But how much of an indicator for overall antler size is that early velvet growth? A buck begins growing his new set of antlers shortly after shedding the previous set. It starts slow with healing of the open wound, but picks up steam over the late spring and early summer, to where it can be growing up to several inches of antler a day. But during this point in the year, we really start to get an idea of what a deer may be packing come fall. There are several factors that play into the reliability of early antler growth as an indicator of the final rack size. One factor is the timing of antler shedding. The later in the year antlers are shed, the less growing time for the new set. That doesn’t always mean racks will be small. They can catch up to the normal pace if resources, such as water, are abundant. And the same holds true for bucks with good early development; growth could slow down if resources are depleted. Nick Mundt, of Michael Waddell’s Bone Collector TV show on Outdoor Channel, agrees. “Usually they (the bucks) will be a good one if they are looking good now, unless a big drought ensues,” Mundt said. The other impacting factors are buck health at the end of the rut and winter severity. Before bucks can begin to push valuable nutrients to the growth of new antlers, they need to repair their bodies back to healthy conditions. Then, at that point, they can start shifting nutrients to antler growth. The better condition bucks are coming out of the rut and winter, the less resources and time are spent to repair the body, which usually means excellent antler development. Looking at velvet antlers can be deceiving when predicting final rack size. There is one fact about velvet antlers that we can all depend on; they will get smaller. 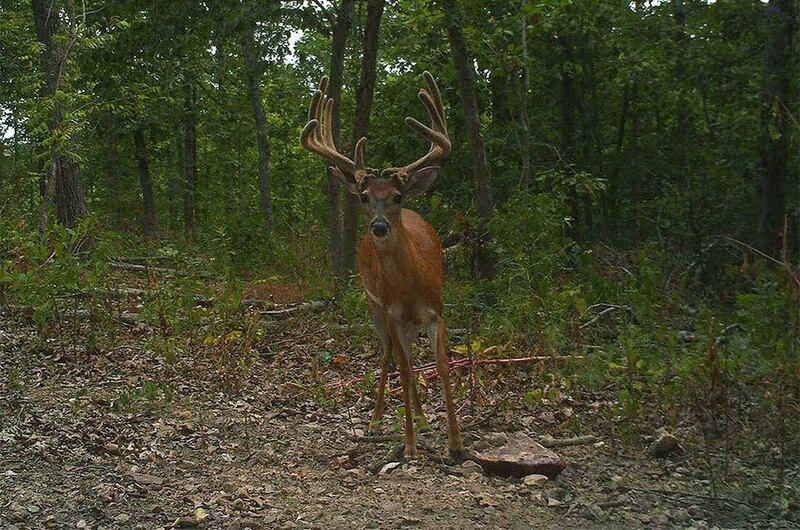 Don’t start trying score monster velvet bucks just yet, according to Travis “T-Bone” Turner. “Always take into consideration that they will be a good bit smaller after they shed velvet,” T-Bone suggested. It’s like sticker shock the first time you see a buck out of velvet and realize, maybe he’s not as big as you thought, or wanted. As we enter summer and begin to drag out the trail cams and start glassing the fields, just remember what you see isn’t necessarily what you will get.